Back in 2016 we got engaged in Positano. If you’re a regular reader of Couple’s Coordinates or if you follow us on Instagram, you have likely seen our engagement photo on the beach of Positano along with the photos from our wedding in Bora Bora. Having lived in Florence, Italy, and gotten engaged in Positano, we gave a lot of consideration to planning an Italy wedding before finally deciding on Bora Bora. In our planning process, we came up with a short list that included: Bora Bora, Maldives, Seychelles, Mauritius, and Italy. Considering so many people get engaged and married in Italy, we thought we would put together a list of the best Italy wedding destinations to help you plan your wedding in the beautiful country of Italy! As you all know, we travel to Italy every year (at least once), and consider it our second home. The 10 cities/towns/villages below are some of our favorite cities in Italy and also some of the most romantic destinations on the planet, where you’re sure to elevate the level of passion and romance in your relationship with your fiance – or soon to be spouse. 5 (cinque) towns littered throughout the mountains along the Ligurian Coast make up what we know as Cinque Terre. Riomaggiore, Manarola, Corniglia, Vernazza, and Monterosso al Mare (from south to north) are uniquely architected fishing villages; each resembling a 152-count box of Crayons. Of the towns along the Ligurian Coast, the 5 towns of Cinque Terre would all be wonderful places to plan a wedding. There is literally a website dedicated specifically to weddings in Cinque Terre. Whether you plan your wedding on the beach, in a church, in a vineyard, or at a hotel, you’re sure to have a magical experience with your new spouse. 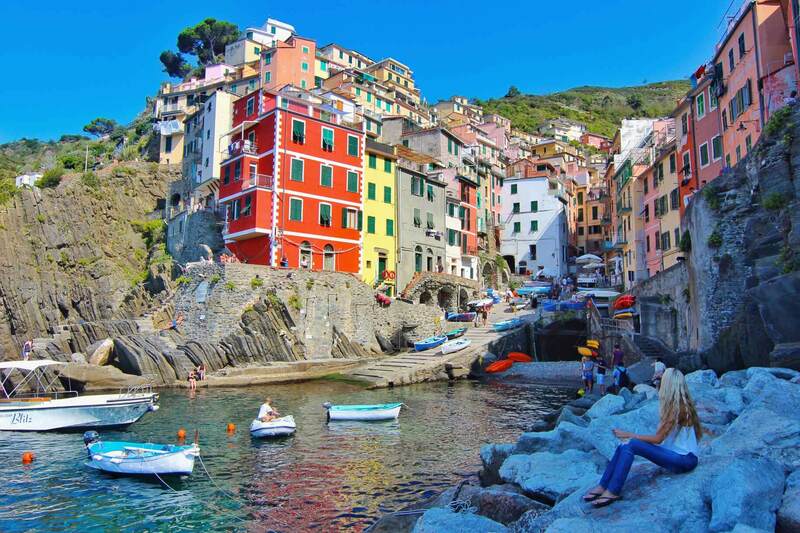 Cinque Terre would also double as an incredible Italy honeymoon destination. Our favorite towns in Cinque Terre include Vernazza, Monterosso, and Manarola, but Riomaggiore and Corniglia are both wonderful and beautiful as well. While you’re there, enjoy hiking Cinque Terre, wine tasting, treating yourself to delicious gelato, and swimming in the Mediterranean Sea. Ahh, Firenze! Our second home. There are few cities in the world that rival the charm and the magic of the city that birthed the Renaissance and made way for the world we live in today. Florence is the Mecca of art, architecture, literature, and culture and is, naturally, an incredibly romantic city. 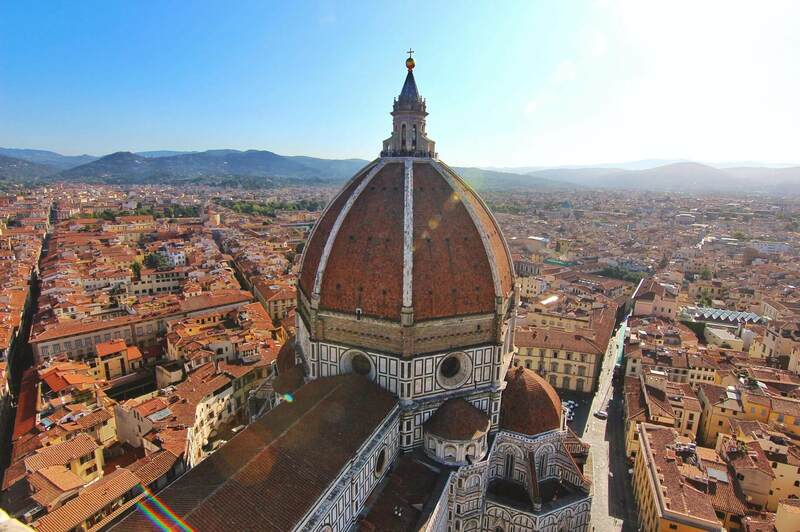 Pictured both below and above, the Cattedrale di Santa Maria del Fiore is the capolavoro of the city. The dome, constructed by the brilliant Brunelleschi in the 1400s, is the largest brick and mortar dome in the world (til present) and is a wonderful structure to get married beneath. Whether you want to tie the knot in a beautiful cathedral or above the city with gorgeous views compared to those of Piazzale Michelangelo, Florence is home to many wonderful wedding destinations. 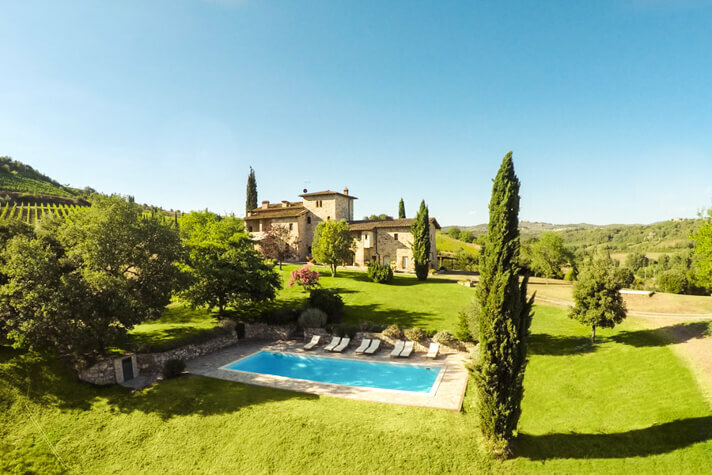 Be sure to check out Castello di Vincigliata, Four Seasons Firenze, and the Villa la Vedetta when planning with your fiance and be sure to leverage the Tuscan products like Brunello wine, bistecca, and pecorino cheese for your wedding reception. 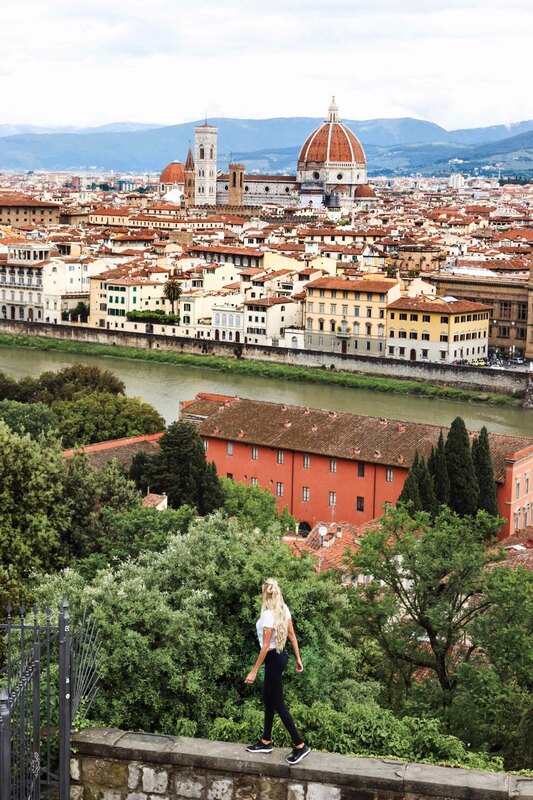 Check out our Florence guide offering local tips on where to stay, what to eat, and what to do in Florence. While you’re here, enjoy gelato in the city where it was invented, head to Buca Lapi for the best bistecca Fiorentina in the world, go wine tasting in Tuscany and Chianti, and walk in the footsteps of the great Renaissance artists Leonardo, Dante, Brunelleschi, and more. Similar to Florence, Rome offers beautiful wedding venues ranging from historical and religious sites such as St. Peter’s Basilica in Vatican City to the gorgeous landscapes surrounding the Ancient City where you will find incredible wedding venues that include vineyards, castles, and mind-blowing villas that are fit for a king. Rome has been a city that we have returned to on such a regular basis because it is constantly evolving, while it is also constantly enduring the test of time. There is always more to see, and it is invariably an incredible experience to walk the streets of the Ancient City with your partner; exploring ancient ruins and side streets that naturally create a romantic experience. Rome is conveniently not too far from our next couple of destinations, so if you choose a wedding in Rome, perhaps you can choose to honeymoon on the Amalfi Coast. 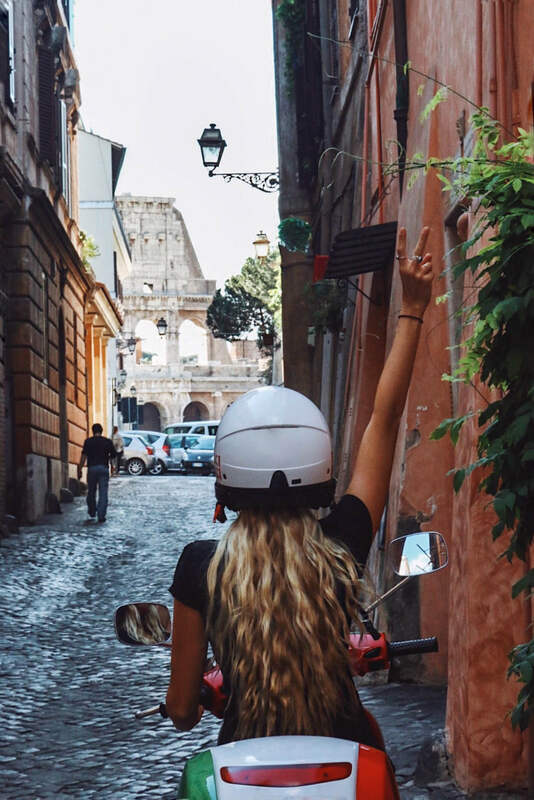 While you’re in Rome, eat the best pasta you’ll find anywhere in the world at Da Enzo, and visit the Trevi Fountain, the Colosseum, the Pantheon, and of course the Vatican. 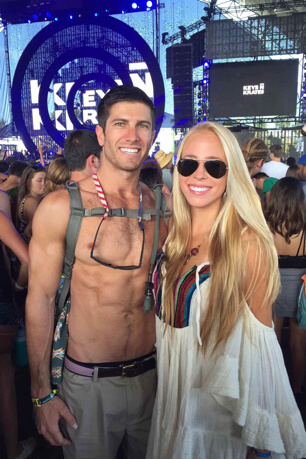 Check out our https://couplescoordinates.com/travel-guides-tips/rome-guide/Rome guide with tips on what to do, see, and eat in Rome. You knew it was coming, didn’t you? Well, it would have been boring to put Positano first and cliche to save “the best for last.” Furthermore, we decided to put Positano right here – in the middle of the blog. In 2016, we got engaged on the beach of Positano. If you know the story of our engagement, you’re likely smiling thinking about the man on the Vespa. If not, don’t worry – it’s an inside joke. After our engagement, the time came to plan our wedding. Naturally, we considered Positano and other destinations on the Amalfi Coast. From the beach to the cathedral in the center of town, there are a number of gorgeous wedding destinations in this quaint seaside town. If your budget allows, you’ll absolutely want to consider the breathtaking venues at Le Sirenuse and Villa TreVille. While you’re with your spouse in Positano, be sure to hire a boat with a marinaio and explore the Amalfi Coast on the sea, take a day to explore the surrounding towns of Amalfi, Minori, Atrani, and Ravello, and perhaps drive into Naples to enjoy the best pizza in the world. 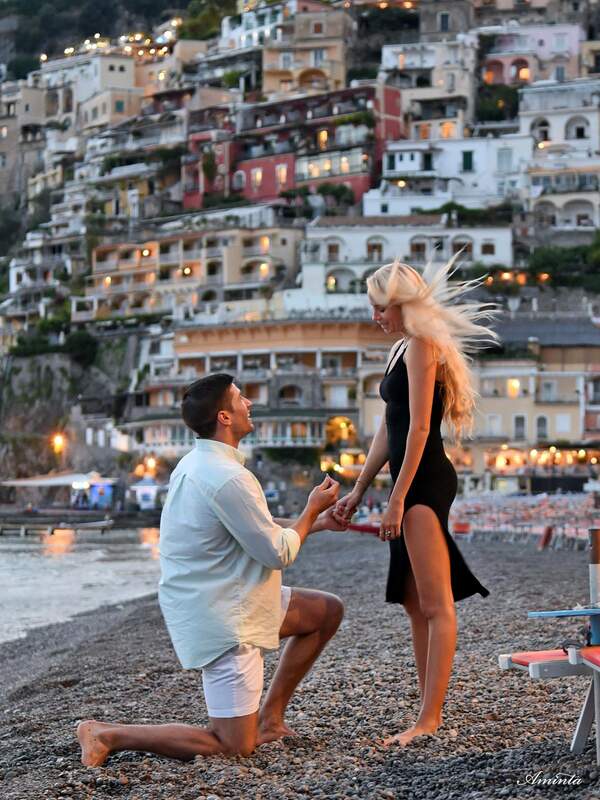 The Amalfi Coast is so beautiful, so romantic, and so unique that we had to include one more town on our list of romantic wedding destinations in Italy. By bus, you can reach Amalfi from Positano in about 30 minutes. If you have a rental car, it is easy to explore the entire coast, but even if you don’t the public bus is a very inexpensive and reliable form of transportation. Regardless, private cars from companies like Positano Shuttle can deliver you and your partner directly to Amalfi. Amalfi is conveniently close to the popular town of Ravello and is adjacent to the quaint town of Atrani. From Amalfi, you can hike to Ravello and easily walk to Atrani – utilizing the tunnel to avoid the highway. Check out the church in the center of town, the beaches in Amalfi, and even the hotels built into the mountain above Amalfi in the beautiful town of Ravello for some incredible wedding venues. 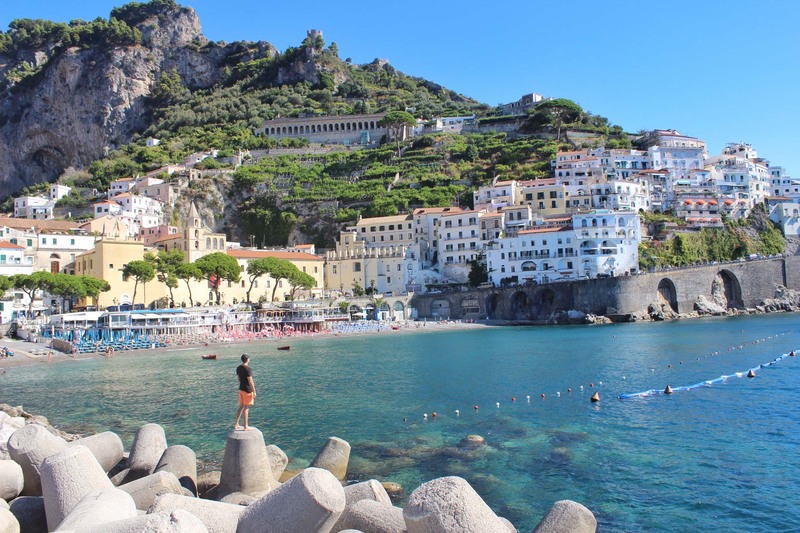 When you’re in Amalfi, be sure to eat delicious seafood, hike to Ravello, and explore Atrani. To properly do justice to the Ligurian Coast, we had to be sure to include more than just Cinque Terre. Portofino is just north of Cinque Terre and is quite similar to the 5 towns you’ll find in Cinque. The water is the same gorgeous blue, the buildings are the same wonderful array of Crayola genius, and the coasts are similarly covered in boats and yachts. 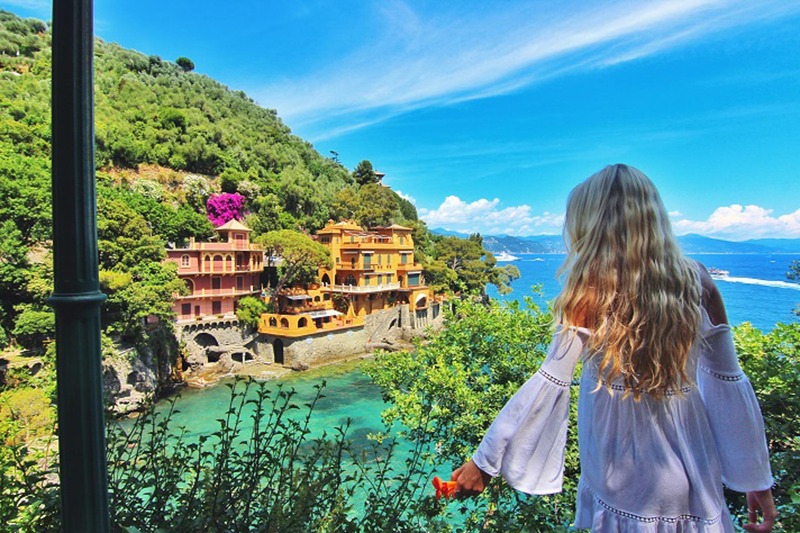 The one thing that separates Portofino is that it seems to be a bit more boujee. It seems like a town taken out of a 007 film where you might expect to find James relaxing with a beautiful woman or perhaps where you’d encounter the Bond villain anchored offshore on a yacht. Regardless, the town of Portofino and the surrounding area is gorgeous and a wonderful destination for a wedding. 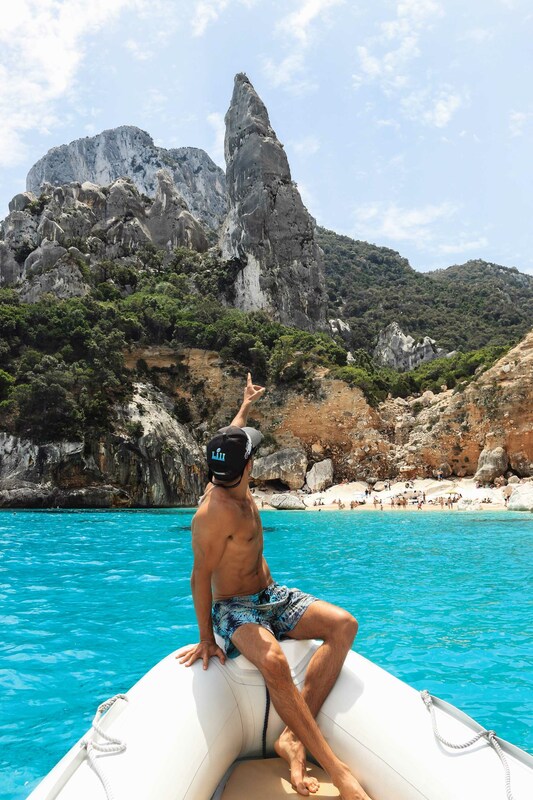 If done correctly, Capri is a wonderfully gorgeous and romantic destination. 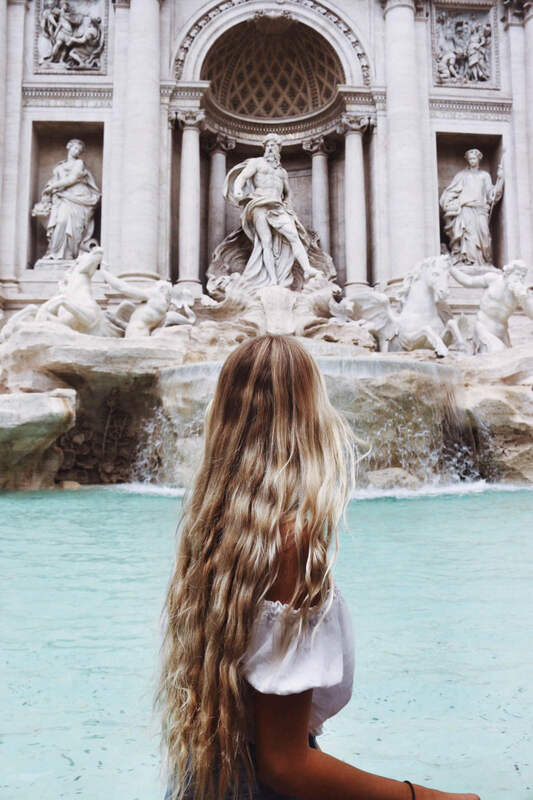 There are, however, large tour groups and hoards of people (about 3 times the median age of our readers) who you’ll encounter if you’re visiting the tourist sites like the Giardini Augusto (Augustus Gardens) or the Grotto Azul (Blue Cave). Your best bet for a romantic wedding in Capri is to avoid the harbor area and book a venue on the back side of the island. There are loads of 5-star hotels back here with epic pools overlooking the coastline and beautiful spots to set up a wedding altar. You can actually get married in the Giardini Augusto, or you can opt for other locations such as the Cetrella Valley or even on a boat! 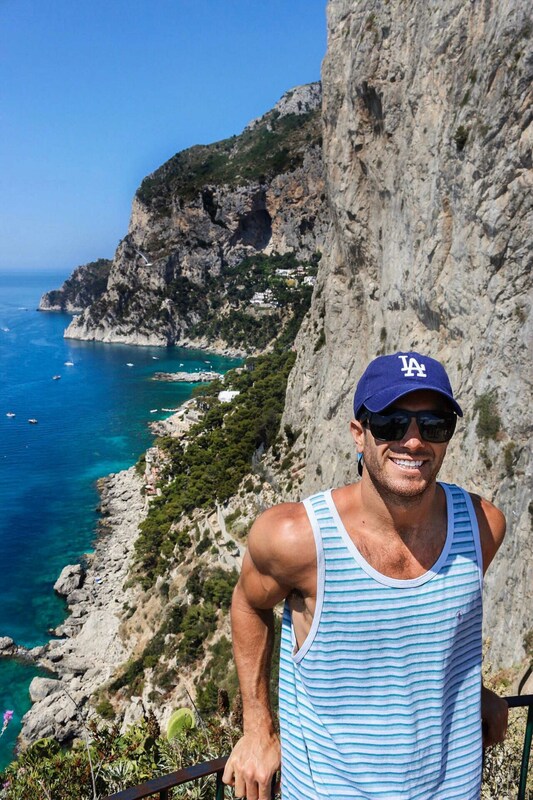 We actually visited Capri as a day trip. Check out our guide if you want to plan a Capri day trip from Positano or Naples. Mondello is certainly the least well-known destination that we included in this blog of Italy wedding destinations. Mondello is a small seaside village not far from Palermo on the coast of Sicily. The town is a beautiful, long, stretch of white sand with crystal clear blue water that is surrounded on both sides by unique mountains or bright white stone and green trees. Mondello seems to be more of a destination for Italian locals – we didn’t run into many American (or European) tourists while we were visiting. Sicily, in general, has less American tourism than the other major beach destinations in Italy (Amalfi Coast and Cinque Terre) simply because of its geographical location and tumultuous history and entanglement with Cosa Nostra – the Sicilian Mafia. 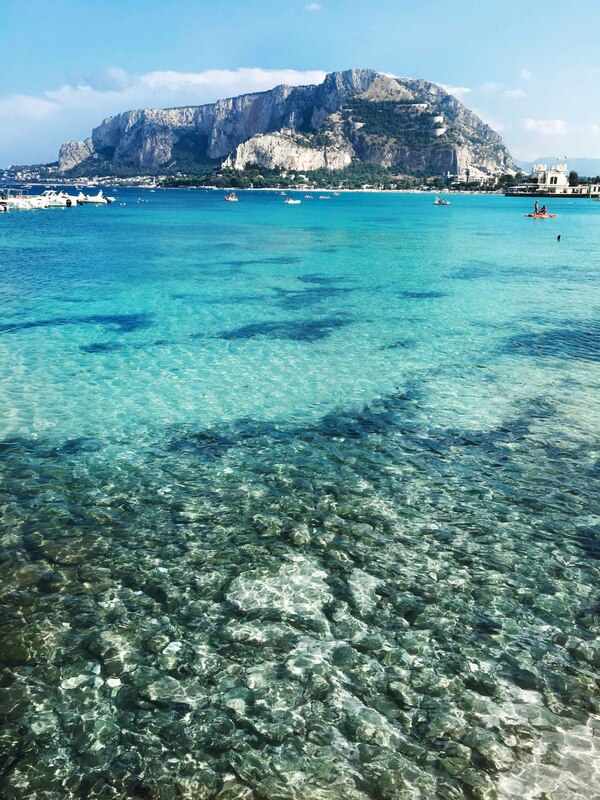 Similar to most parts of Sicily, Mondello is aesthetically breathtaking, naturally splendid, safe, and filled with delicious Sicilian cuisine. If a beach wedding is in the cards for you and your fiance, Mondello is a perfect choice. When considering Italy wedding destinations, it is imperative that you and your fiance consider Sardinia. 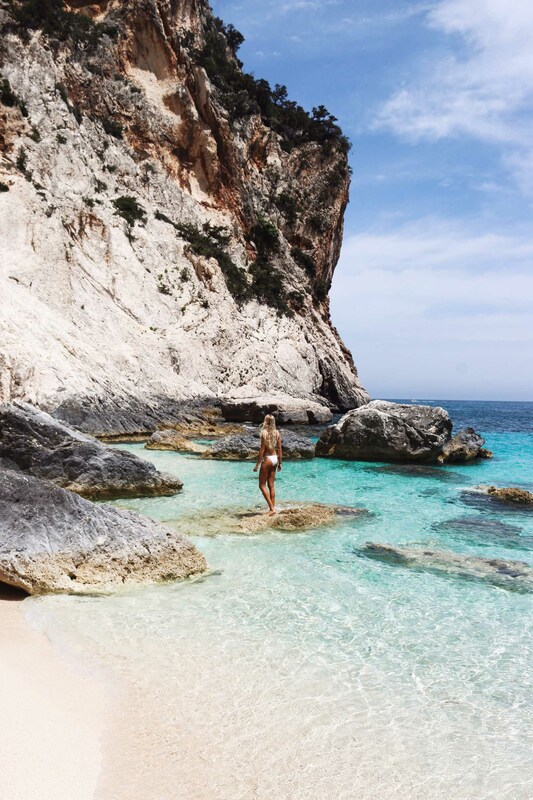 The entire island is lined with white sand beaches that are encompassed by some of the most beautiful blue water you’ll find anywhere in the world. Sardinia is known as the “Caribbean of the Mediterranean” because of the unique water color, and the incredible island culture. One thing that is not well known is that Sardinia is HUGE. For an island, it is rather sizable. Driving North to South requies about 4 to 5 hours and driving East to West consumes around 3. Our favorite locations on Sardinia were on the east coast, near Cala Gonone. Cala Gonone is not a particularly romantic town, but it is quaint and relaxing. The beaches near Cala Gonone (pictured above) are spectacular and some of the most beautiful in the world. Cala Luna and Cala Goloritze were our favorites. While you’re in Sardinia, hire a boat and explore the beaches you can’t reach by car, eat delicious Sardinian seafood, and indulge in a local dessert called seada. 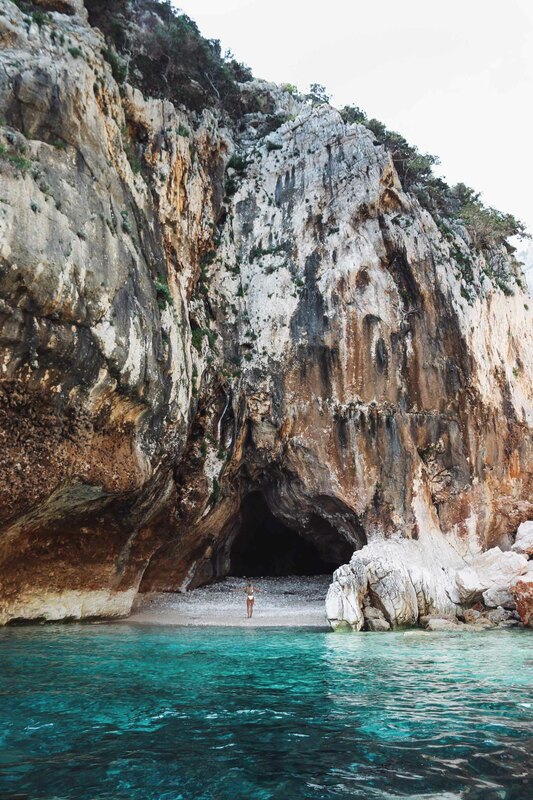 For more detail on the island of Sardinia, check out our Sardinia travel guide.